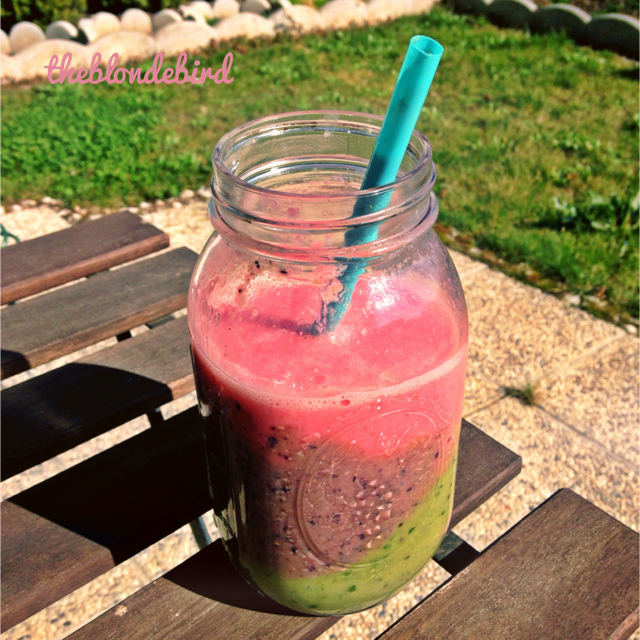 The Blonde Bird | Live healthy. Travel frequently. 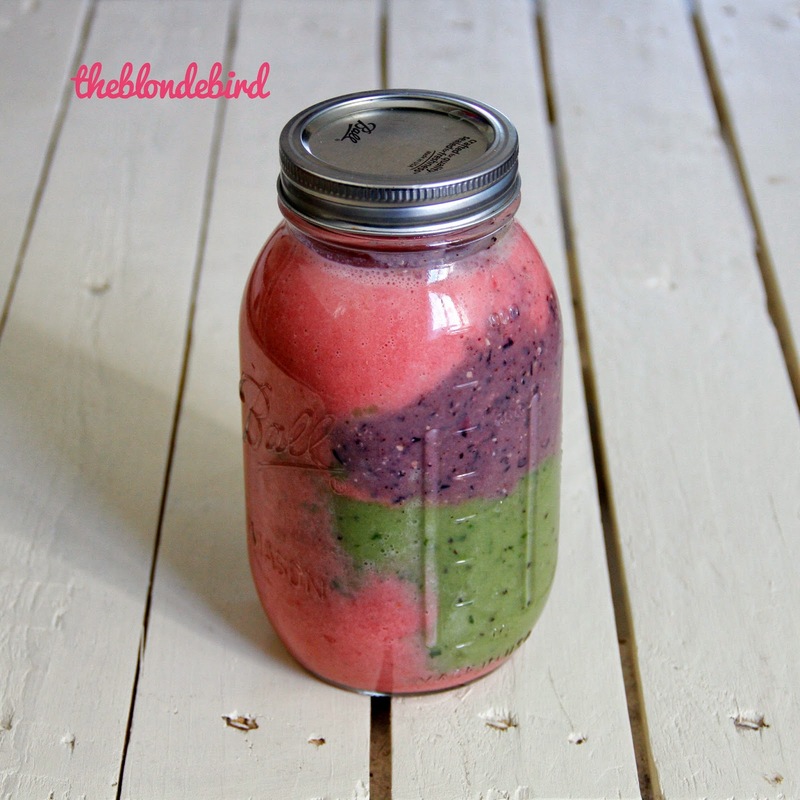 Eat your breakfast out of jars. : Spring is here! Color up your life! Spring is here! Color up your life! It's kinda an obsession...I just love colorful meals and drinks! Today is the first day of spring, it is getting warmer every day, summer is almost here. During the winter time I mostly wear black clothes...it's like I only have black clothes in my wardrobe lol but that's not true. It is the cold and depressive weather that makes me grab the dark things (can you guess that I am a summer kid?). Don't you feel happier when the sun is shining? I do, definitely! And with the warm and sunny weather I start wearing colorful clothes. 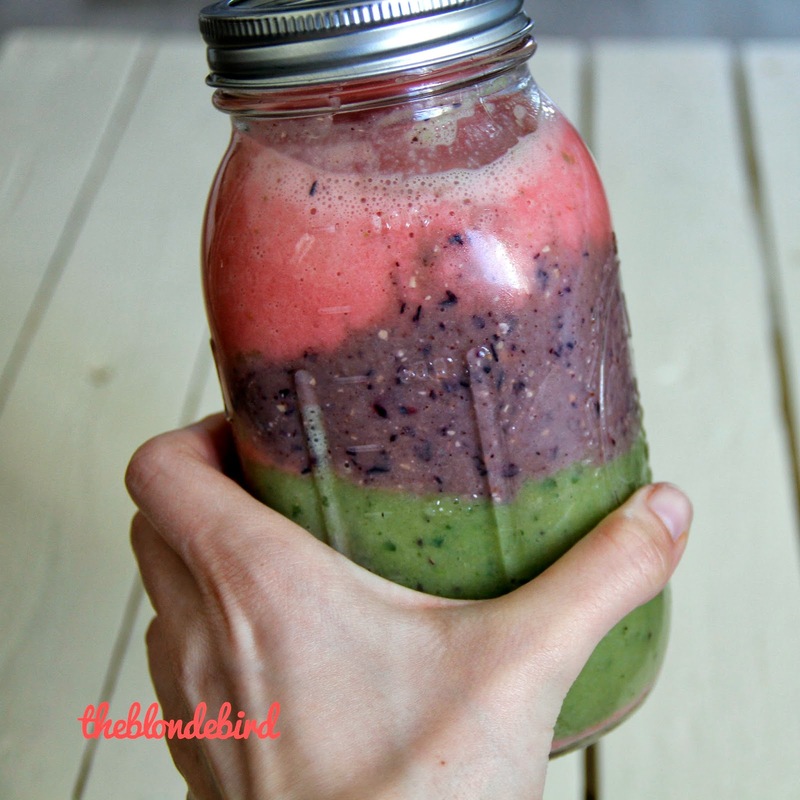 Blend each layer seperately and pour it in a big jar. Voilà!